It has been accepted that dog bites have become too frequent and too violent to be ignored. 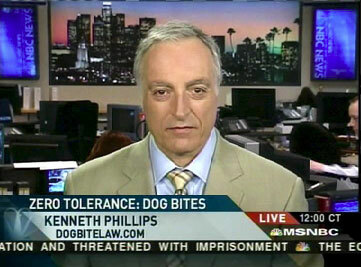 The statistics support the view, first articulated by Attorney Kenneth Phillips in 1999, that there exists a "dog bite epidemic" in the United States. There are differences of opinion, however, as to which dogs are too dangerous, with some members of the public even refusing to accept that there is any such thing as a "dangerous dog." 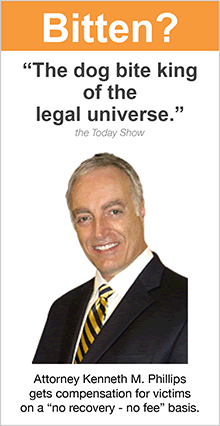 The website DogsBite.org is a thorough, up-to-date source of news and opinion about bite cases and death cases involving dogs. It's 3-year study of such incidents concluded that from 2006 to 2008, pit bull type dogs killed 52 Americans and accounted for 59% of all fatal attacks, and that pit bulls and rottweilers (combined) accounted for 73% of these deaths. The foregoing studies establish that pit bulls and Rottweilers clearly are dangerous if judged by the damage that they inflict when they attack people. (Footnote 1.) The courts have confirmed that pit bulls are inherently dangerous, although the legal result of having a dangerous dog is inconsistent from case to case and state to state. Many state legislatures have issued declarations that establish there is a dog bite epidemic but have not put the responsibility on any one breed. (Footnote 2.) Because of the perception that pit bulls are inherently dangerous, many Americans are of the opinion that this breed needs to be eliminated. That also has been the view of many segments of industry and other nations. The insurance industry and airline industry have attempted to exclude pit bulls and several other breeds because of their potential for harm, and a number of European nations have banned certain breeds of dog. (See Breed Specific Laws.) There are many who even have begun to fear that dogs generally may someday be judged unfit to be our companions.